I never was any good in chess. 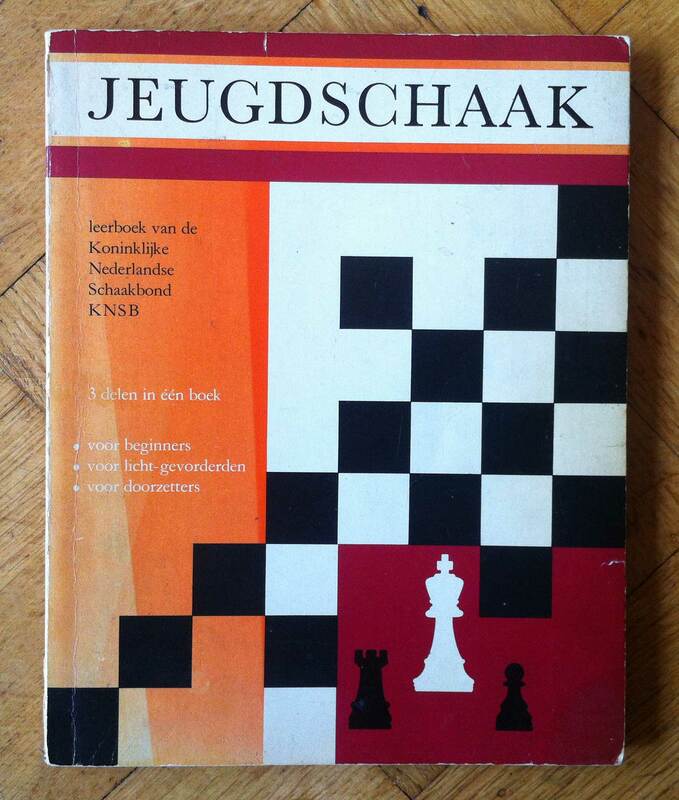 I got a book about playing chess when i was around 11 or 12 years old. I read it all. I played on my own with the questions. The opening, middle and endgames. I enjoyed it. But i never got any good in it. I never found anybody to really play with. The book i still have i read a couple of times. I like that. I also did some of the exercises. I enjoy reading the parts about all the different sides of this game. I will most likely read it again once i finished this post! Well, over the weekend anyway. I did have the small plastic board with the magnetic pieces. Not sure when i got this one. Didn’t do me much good. It is still a game for two people. 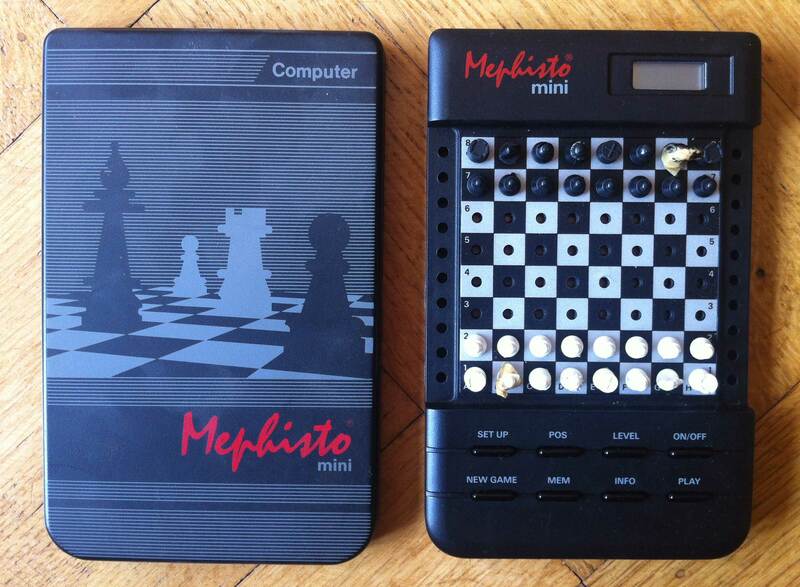 The computer chess game i think i got from a friend of my mother. I used to work for her a couple of years, cleaning up her house. I’m not even sure i really got this game from her, it could be it was meant to be a loan for a short time only. I never gave it back though. Sorry, i can’t remember anything about this. Anyway, i played lots of times on this computer game. I did learn that i was quite good in setting up a defense. It is the strategy and the attack which i’m terrible at. Something which gave me an insight in my personal configuration. It is easy for me to set myself up as vulnerable, as an easy to hit figure, someone for others to protect. It is hard to stand up for myself, fight for myself, see that other people are doing something wrong. If that is the case of course. 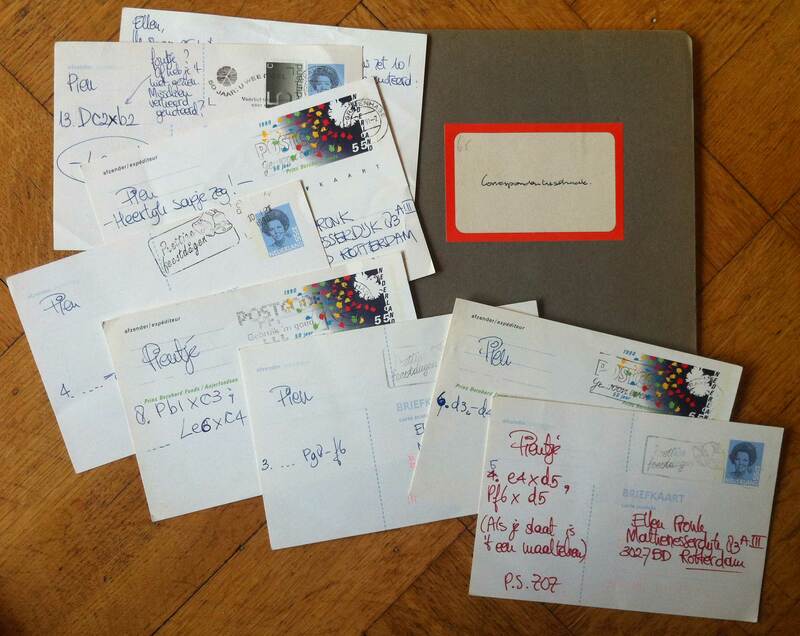 I did play chess with postcards for a short while with an old friend. We never played it out. I also never saw her again after this. Not that we had a fight, we just grew apart. I’m not sure i really enjoyed playing it like this. I like to sit opposite someone else to really enjoy playing the game. I did buy the game Deep Green 1.2.3 for my iPhone. I played it on there a couple of times. I love the way it looks. I also love the way the pieces move, when you play with your fingers touching the screen. Excellent. But the best game i have, is the one i got only a few months ago. It used to be from my stepfather. After he died, this game was left over. I took it. It is a big, offical game. Staunton pieces, i’m pretty sure. I even have a chess clock. So today i set up the game. I made one of the openings i do know. One of the most well known ones: e4 – e5. These are the first moves of the Open Games. 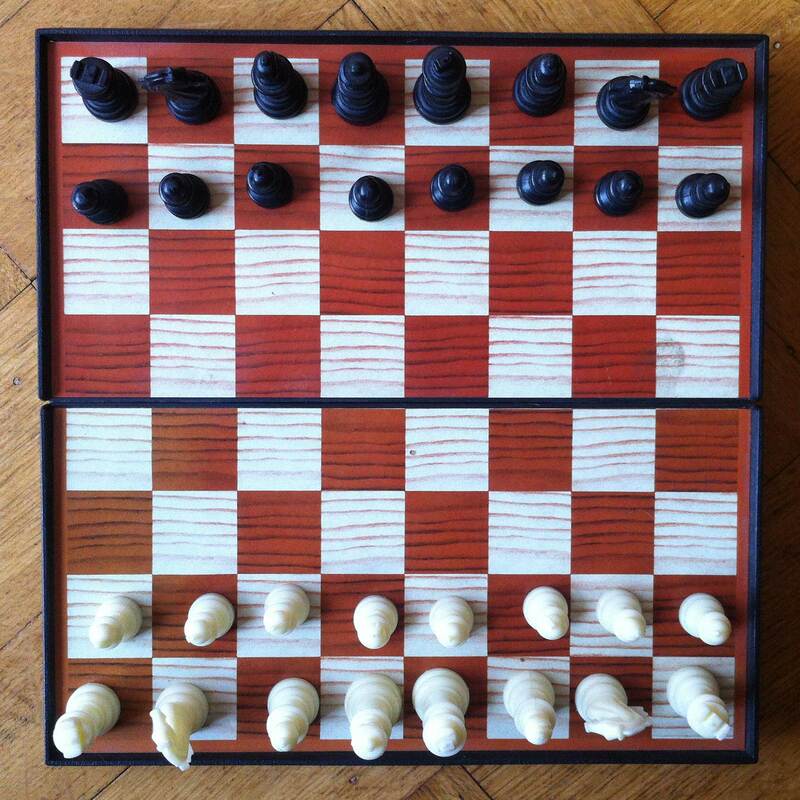 One of the rules of chess is to make as many pieces active. The center is more valuable than the sides. So these two moves are excellent starting moves. 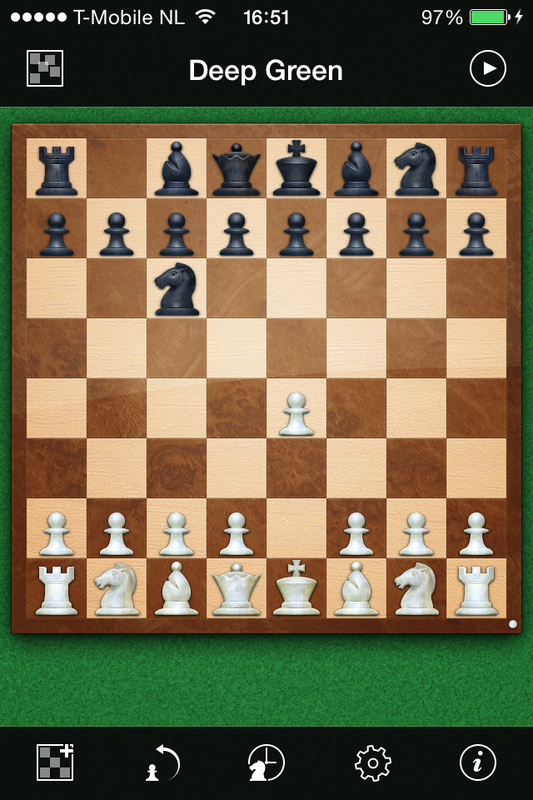 White moves its pawn from e2 to e4. It gives its bishop and queen moving space. 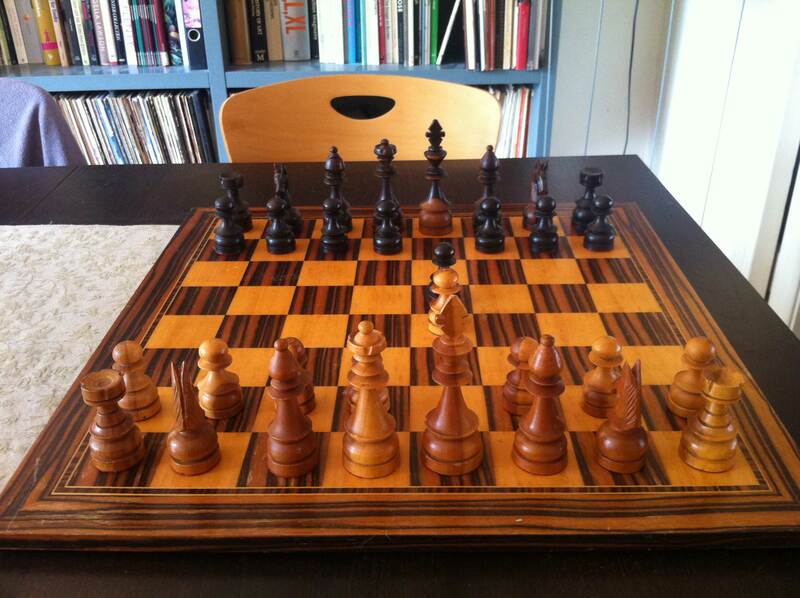 It also sets up its pawn in the center, looking to d5 and f5. Black does the same with the same advantages. Opening up the game and the most important game pieces – knights, bishops and queeen – is the target of the opening game. I still haven’t found anyone to play with. But i enjoy this game, even though i’m still terrible at it. 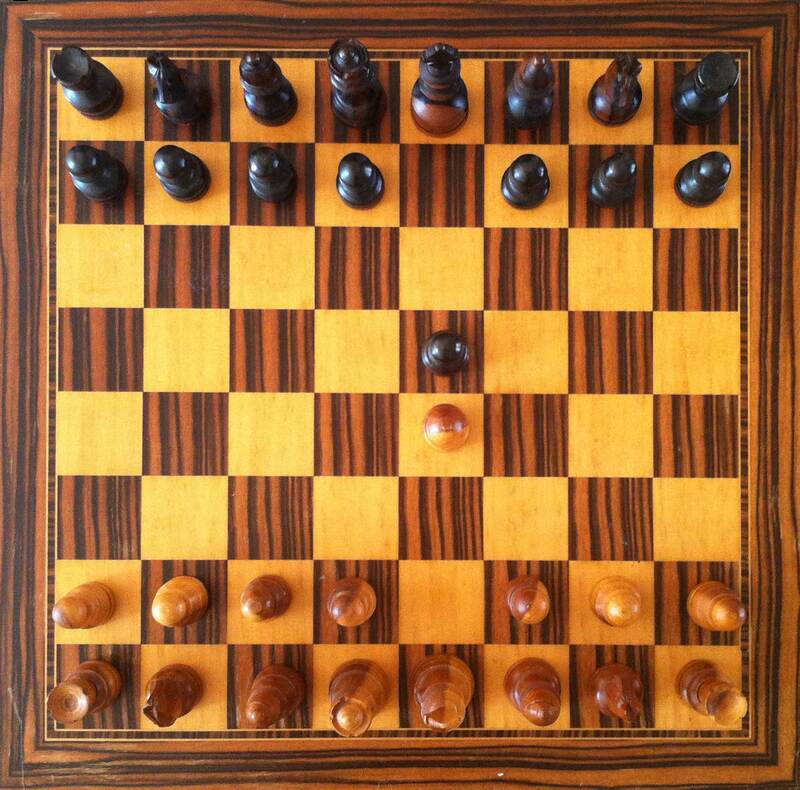 I will let the chessboard stand on my table for a while. Read wikipedia about all the different aspects of chess. And maybe, one day, i will meet someone to play with. Or find some place online. You never know!